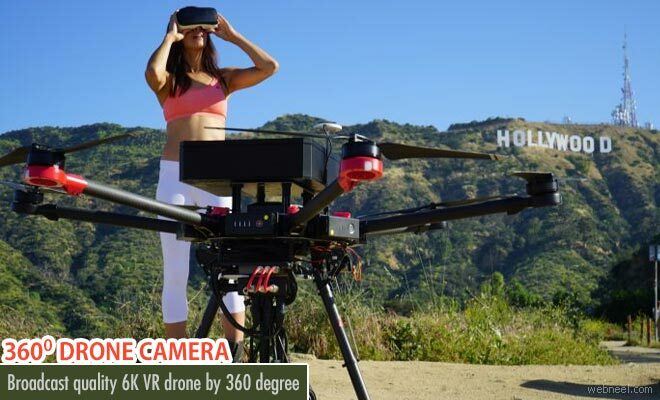 DRONE CAMERA : The live streaming VR pioneers, 360 designs, announced the release of Flying Eye, the world's first broadcast quality, live streaming, virtual reality drone. Flying Eye is the first drone system capable of streaming live, 6K, 360 video, and has a range of over 5 miles. Using a custom wireless transmission system – Breeze™ – developed exclusively by 360 Designs, live VR streams can be broadcast anywhere in the world in ultra-high quality, and streamed live to YouTube, Facebook or VR headsets. 360 Designs will be exhibiting at NAB 2017 in booth #N917VR, with live drone demos every day at 5 p.m.